Established in pots using a premium potting mix with a strong root system, ready to be planted to your garden/pot or basket etc directly. *Some plants sold bare root where marked. To view listings & ordering of all of our Nursery products and mail-order plants simply click the sub headings on the far left of screen under “Categories”. 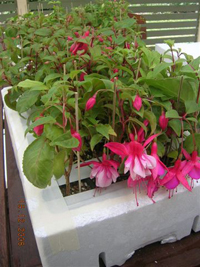 Example ‘Fuchsia basket varieties’ will show all of the currently available basket varieties in stock. Click on each to view the products in each category. Using the Search box on the top right of screen can minimise looking around for varieties on the site. Simply type in all or part of the word to search, This can even be used to bring up certain coloured varieties by typing in the colour wanted into search! Also type just ‘double’ or ‘single’ to short list these for you. 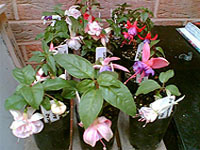 Fuchsias and plants shown on the webpages are those that are in stock available for ordering, These pages are updated weekly to reflect stock changes etc. ***CURRENT SPECIAL***We offer FREE Australia Wide (Except WA/TAS) Delivery for all ONLINE orders over $175.00, ends soon! Includes Tracking Service as well. Express post option is also available (Recommended for cuttings orders and orders required within 1-2 days from despatch). Express post pricing is calculated by weight and postcode. If our web checkout calculates an extreme amount please call us for a good rate. (Our link with Aus Post sometimes calculates rates we cannot explain). ***New Customer Account sign ups receive a free emailed $5 voucher to spend anytime. To ensure delivery takes place in a timely manner we dispatch all orders on a Monday or Tuesday. We expect the customer to have the orders within 1-3 days from dispatch which avoids any weekend delivery delay. 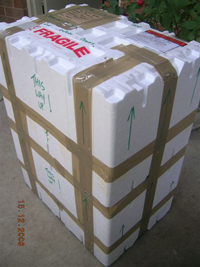 Our packaging system is quite unique and ensures your plants and products are delivered in great condition regardless of any mishandling by delivery contractors. Each plant is wrapped/strapped/staked and held secure for a successful delivery for you to enjoy. Cultural notes links are sent with each order along with seasonal e-newsletters and tips to help you get the most from your plants. A notification email is also sent to let you know of dispatch so you can look out for your new arrivals! Free after sales support and advice. Optional Monthly/seasonal newsletters are available to help you grow the best plants in the street! We have a range of ordering options including the easy to use online shopping cart on this site or you are welcome to phone us or email and we can help you with your order and any questions you may have PH 0438393578 7 days. New online customers can easily create an account and start ordering right away, once registered you can log on at any time to check the status and progress of orders, change/update and place new orders simply. Many payment options are available via our online shopping cart and phone orders, these include, Paypal Online (A safe,easy & secure online payment system), Direct debit, Cheque or Postal Money Order. Manual Credit/Debit card payments can also be taken by “Checkout with Paypal” & then choose “Don’t have a paypal account?” or we can also accept your card number over the phone*. *Credit/debit card by phone may attract a 1.5% processing fee. Also cash on pick-up from the Nursery. Our online shopping cart will give all of these options in the ‘check out’ process. For phone & email orders we will also explain these options. All stock is guaranteed to be of excellent quality, well established & robust, ready to plant and set flowers. Our mail-order plants are prepared and packaged in such a way so they can handle up to 10 -14 days in delivery and any possible ‘rough’ handling. Although most orders are received within 2 days from despatch. Please contact us within 48 Hours with photos if any plants/products are not 100% Top quality. “Live in a rural or outback location?” Not a problem, Let us get the plants you need to you in a very timely manner via our vast network of quick deliveries to any location in Australia (Sorry no WA or TAS, due to quarantine). Wholesale enquiries very welcome. Are you a Nursery, Re-seller, Garden Center or cut flower grower Etc? Ignore our online prices! Contact us see what we can do for you if buying in bulk. Massive discounts for quantity. Great freight deals as well. Speak with Brendan Today! An administration and restocking fee may apply to orders picked, processed and confirmed for delivery which are cancelled by the customer. Currently 15% (or Min $10) of the total plants and products not including delivery fee applies and would be deducted from any refund given once order is picked and set for despatch. Deposits may be lost in full in some circumstances when specially ordered in plants not usually stocked are cancelled by customer. 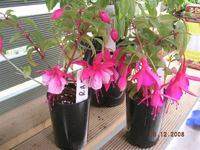 Mail Order Stock example of our robust plants with delivery guarantee. Mail order Pack Ready to go to a customers door! Strapped and Staked, No movement here! 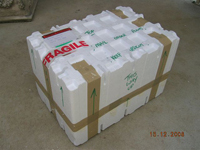 Mail order Pack Ready for Export to Dubai UAE.